Chic lit at it’s worst. We were on a vacation so I was looking for a book to bring to the beach as I didn’t want to bring my ipad. I started reading this drivel and not sure why I kept reading iy. A London girl goes to live with an Irish family during WW2 and book goes on and on and on about them during the next twenty years. Worst ending of a book ever. 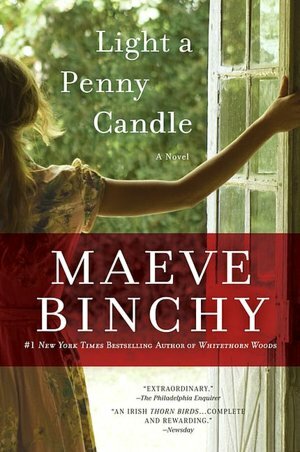 Maeve Binchy just died on Monday. She has better books!